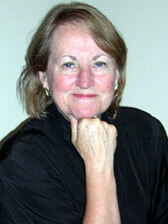 Patricia Gray is Clinical Professor and Senior Research Scientist of BioMusic at the University of North Carolina-Greensboro and, for 21 seasons (1980-2001), the Artistic Director and Pianist of National Musical Arts, the resident ensemble of the National Academy of Sciences. As pianist, she has performed at The White House and at the National Academy of Sciences’ first international conference on biodiversity. She has appeared in performance with leading orchestras and chamber musicians and is the recipient of the Franz Liszt Commemorative Medal from the government of Hungary. Dr. Gray is the Founder and Director of National Musical Arts’ BioMusic Program, where she leads a team of distinguished scientists and musicians who explore musical sounds in all species. She was the lead author for articles in the journal Science, including "The Music of Nature and The Nature of Music" (January 5, 2001), and has been featured in the New York Times, Science News, BBC, CBC, Discovery Channel, National Geographic Channel, The Boston Globe, London Daily Telegraph, Muse Magazine, and newspapers across Europe and Latin America. Dr. Gray served as Principal Investigator (PI) for the National Science Foundation’s planning grant for Wild Music, and was co-PI for the exhibit's implementation grant. In 2003, Dr. Gray began a seminal research project with noted scientist Dr. Sue Savage-Rumbaugh, Georgia State University and the Great Ape Trust, Inc., to investigate the musical abilities and preferences in Bonobos , our closest primate cousins. This work focuses on a group of language competent apes who have recorded with Peter Gabriel and Paul McCartney. Other members of the bonobo music research project team include Dr. Mark Tramo, Harvard University, Dr. Tecumseh Fitch, St. Andrews University in Scotland, and Dr. Laurel Trainor, McMasters University (Canada).